Centurion Running have launched three new races, but one might be of interested to the Fast Running audience. 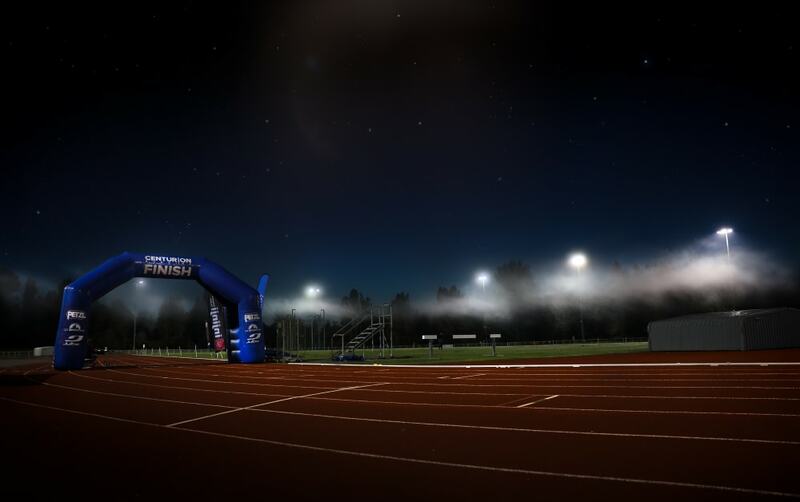 An elite 100 mile track race. In a throwback to the heyday of British ultra running, when the likes of Don Ricthie, Cavin Woodward and Eleanor Robinson were running the fastest times in the world, Centurion Running race director James Elson is putting on an invitational 100 mile track race just to see some fast times. The event will take place at the Julie Rose Stadium, in Ashford Kent on 7th September 2019. A 6:00am start means that everyone can be back home in bed at a sensible time on the Saturday night, or down the pub celebrating if they choose. 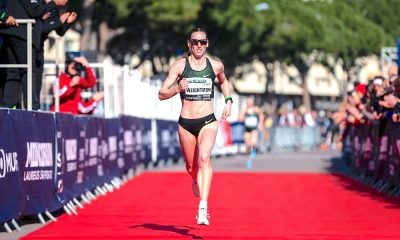 Elson was recently at the Desert Solstice Invitational in Phoenix, Arizona, where Camille Herron set her 24hr World Record, and the event is a shining example of how to encourage quick runners to push themselves to the limit. The whole focus is on fast times and making it as simple as possible for the athletes to excel. 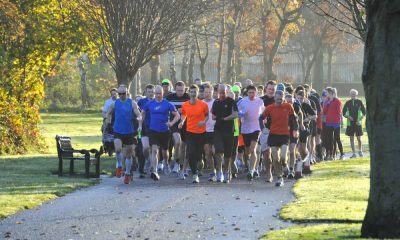 “The idea is to try to bring the best of British together at one event, to push each other in a racing environment and where the most optimal racing conditions allow for them to chase British and World Records.” although the ultraruning coach knows that athletes from further afield may well be interested in the event as well and it is limited to 20 starting spots. 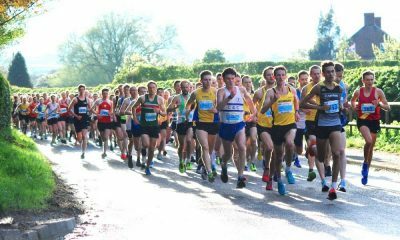 Setting the criteria for entry was undertaken by a team of experienced and knowledgeable ultra runners and coaches, with the aim of allowing a good depth of field, but also ensuring it is an elite event. With only 20 spots and a desire to see a good level of male and female runners test themselves in the 100 mile discipline, the standards had to be high. Runners will run in the first three lanes with the race’s official checkpoint and any crews to be set up in Lanes four and beyond. The idea is to keep the handing of food and hydration as simple as possible, without the athletes having to slow down or divert from their racing line too far. Anyone who meets the criteria below can apply for an invite to the race and Elson would like to see a good standard of runner attending, with a full scope of criteria from marathon up to 24hr running. If you know a runner this would be perfect for then, let them know. The British records for 100 miles are pretty solid. Scotland’s Don Ritchie is a former world record holder and his 11:30:51 set at Crystal Palace track back in 1977 is still the best mark for a Brit. Only two British runners have ever broken 12 hours and Cavin Woodward was the other. Woodward also held the world record before Ritchie, in a historic run that saw him also set a 50 mile (4:58:53) and 100k (6:25:28) world record en route. Possibly one the greatest performances in ultra running history back in 1975. The British women’s record is held by Eleanor Robinson with a 14:43:40 set in Milton Keynes in 1990. 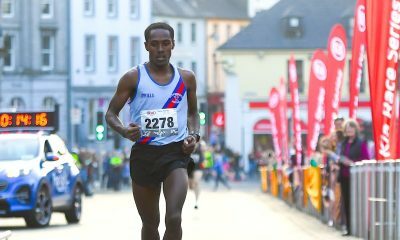 It was almost broken last year when Tracy Dean ran 14:48:17 in Germany, taking a wrong turn on the point to point race in the final stages. The world records for 100 miles are held by Camille Herron (12:42:40 in 2017) and Oleg Kharitonov (11:28:03 in 2002) at Tunnel Hill, USA and Crystal Palace, UK respectively. To see either of these records come under attack would be a wonderful thing to watch. In the build up to launching the event the Centurion team also compiled a list of the top British 100 mile times to go with the race launch. The list can be viewed here and certainly some new names will be added in September 2019. So far there are two names on the startlist, GB and Scotland International Debbie Martin-Consani and yours truly. As a fan of the old school style of ultra running, where quick marathoners just ran as fast as they could for as long as they could, it seemed a good step on from a 2018 marathon PB to try my hand at the track. As James says “this event hopefully harks back to the 1970s and 1980s when many of the best marks were set.” The aim is to try and join some of the best of British ultra running, like Ritchie, Woodward, Robinson, Mike Newton, Dave Dowdle, Martin Daykin and Tom O’Reilly on a list of top British 100 mile times. To make it the best race we can there needs to be a good standard of runner across the field, so if you’re interested and you meet the qualifying criteria, where else would you rather be than running around a 400m track 402 times this September… maybe don’t answer that. The other two races announced were a one-off 100 mile version of the masochistic Wendover Woods 50 miler, that sees athletes take on ten loops of the tough, hilly woodland course but in July, rather than the normal winter date of the 50 mile event. A little less sadistic maybe. Excitingly there is also a relaunch of the Piece of String race, where no one knows just how far the race will be at the start. Runners must keep going until they are told they have finished. The race previously ran in 2012, 2013 and 2014 and was labelled “the world’s most pointless race”. It is the brainchild of peculiar chap James Adams, who has apparently written a book about ultra running.